Philips and extreme lifestyle brand O'Neill have joined forces to unveil a new line of extreme headphones, including The Stretch range which are inspired by the heavy-duty materials and styling of wetsuits. The intriguing Philips | O'Neil headphones are designed to: "withstand the rigours of an active lifestyle". To that end, The Stretch – the 'toughest in the new line-up'- is impact and high-stress crack resistant, and made of TR55LX which is apparently 6 times harder than polycarbonate. "The Stretch maintains its toughness and durability in the most extreme conditions – be it the hottest place on earth or the coldest climate down to -25C temperatures," adds Philips release. 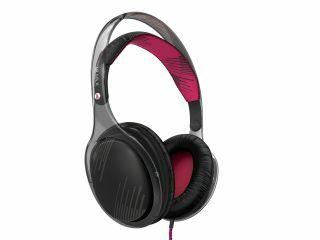 The Stretch is not the only part of the new range, with Philips also offering The Snug model – flat folding headphones "that deliver flawless fit and sound with bold graphics". Next up is The Covert ,"a discreet bud with deceptively powerful sound impact and iPhone control", and last but not least is The Specked, which includes a range of three striking coloured in-ear buds. We can testify to the toughness as we've been (web) surfing with our set of The Stretch for nearly 15 minutes now and they are working fine. Radical. Nick Andrews, senior manager, Consumer Marketing at Philips, comments: "This range realises the synergies of Philips' simplicity and innovation and O'Neill's set of core values based around the concept of innovation in style and technology. "Our new headphones are totally uncompromising in their durability – because they've been tested on our test animals: the toughest O'Neill riders, the most uncompromising and daring boarders around." Eppo van Berckelaer, Global Marketing Director at O'Neill, said: "O'Neill and Philips share a long and successful history of product innovation, working to create products that allow people to get the most out of their lives. "Knowing how important music is to the lives of our consumers, I now encourage everyone to get out there and test the headphones for themselves."